Our Instagram poster maker is easy to use and you can select from various layouts. Display up to 77 Instagram photos!. If you’re an Instagram enthusiast, it’s important to preserve your best Instagram moments. Furthermore, our collage posters can be framed and displayed for a splash of color on any drab wall around your home. Simply upload your photos to Print Shop from Instagram, choose your collage size and fill up your collage layout. Then, select from different background colors and add text for names, quotes, or captions. Above all, Instagram poster collages are a truly unique way of expressing your creativity through photography! 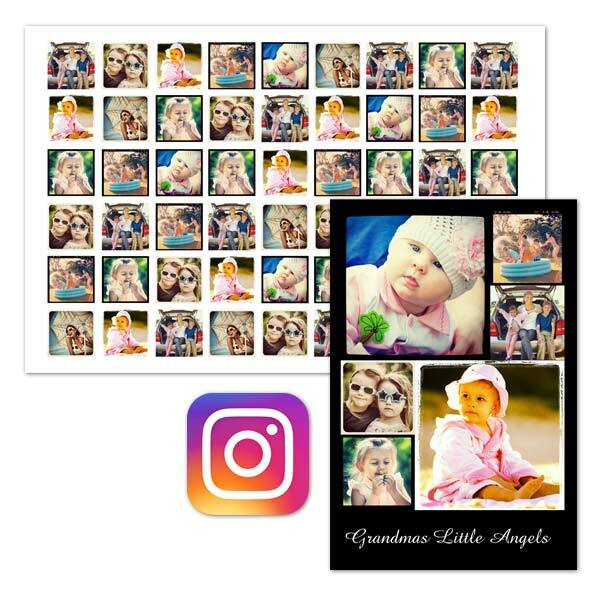 If you’re interested in printing Instagram photos, try out our 8×8 glossy photo prints! They’re ideal for your family album or for framing on your wall. In addition, you can customize them with white borders for that classic, vintage look!